Reward yourself and your body with a HemingWeigh® Extra Thick Foam Exercise Mat, and see why this is the most popular Exercise Mat found in yoga studios, fitness clubs, schools, and at home! *We at HemingWeigh® take pride in supplying the most high quality yoga mats that provide the most comfort for your yoga and Exercise workouts. 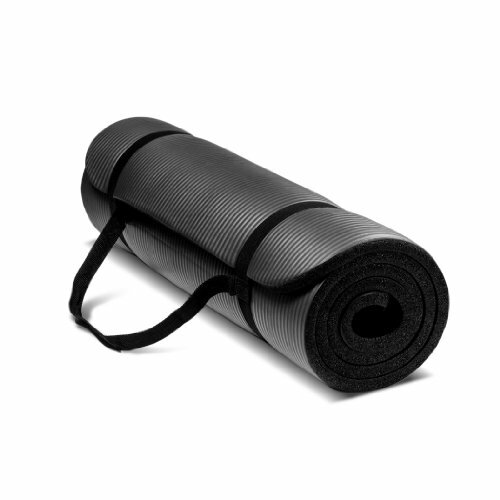 This high quality deluxe mat will last longer than most standard Exercise mats. Our new Extra Thick Exercise Mat, is an extra long 70'', and is one of the thickest mats on the market. *When shopping around for a Exercise Mat, note that what many other companies call a Exercise Mat is thinner than this mat. These ''knock-off'' mats are shorter and weigh less, indicative of their inferior quality. A thicker non-slip mat is good for all types of yoga, and exercise especially for restorative poses.